In my 3rd productive year for these garden boxes things have started to look up when it comes to soil conditions. The first year I struggled with compacted, sandy soil. My cucumber seedlings yellowed and exhibited very stunted growth. The following year I adjusted the weight of the soil by adding peat and vermiculite. At the end of the previous season I was able to mix in a little compost from kitchen scraps along with manure to help replace what my garden plants utilized from the soil. I felt it was a good idea to test what my soil was lacking. As I a result of plant yellowing I was certain the soil was depleted of a major amount of nitrogen. Using a kit from a local garden supplier I confirmed this was the issue. Nitrogen rich fertilizer to the rescue! As a result, this year’s crop yielded enough for fresh eats as well as pickle making! So, what do you look for in choosing seeds for cucumbers? A majority of the time, it depends not only on the amount of space you have for sprawling but also what you intend to do with them. Will you be pickling? If so, what style of pickling will you be doing or other words, what size or cut will you have for your pickle product? 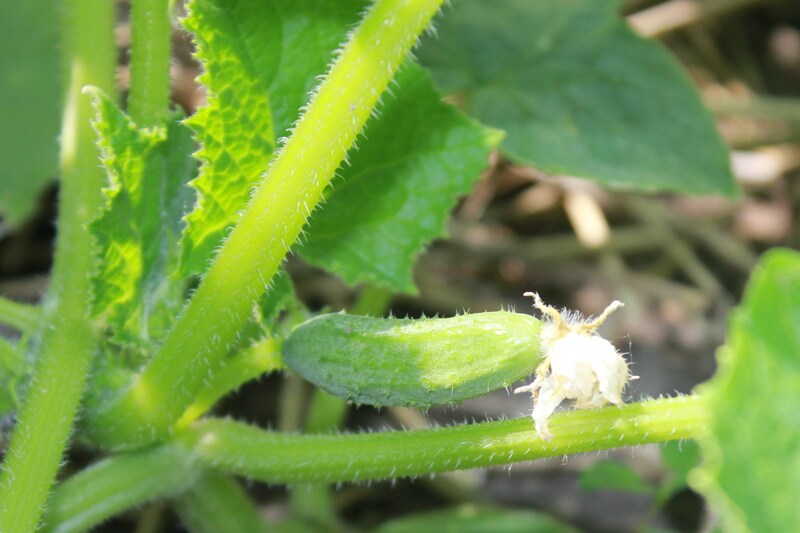 A good rule of thumb is to look for a cucumber variety with high yield, crunchy flesh with very little seed formation. Most seed packets will state if the resulting cucumber is used for pickling or slicing. Pickling cucumbers are generally bumpy with a striated light and dark green skin. Slicing cucumbers on the other hand have dark green, smooth, thick skin and are meant for use in salads or peeling to eat fresh. During your growing season watch out fungal molds which may affect the growth of your plants. 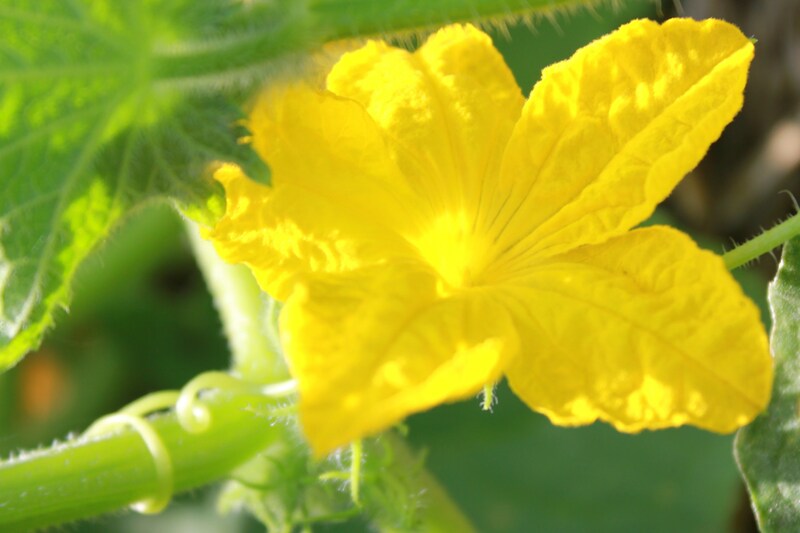 Much like green beans, melons and squash, be on alert for any mottled brown, yellow or even white splotches. This could indicate the presence of an infection. As with any mold or fungus, avoid over watering, top watering and touching your plants after a rain. Do not water at night, especially when night time temps are 70 degrees or more. The more humidity, the more attractive the environment is for mold or fungus growth. Fungicides rarely work and are not recommended for edibles and spores can remain active in the soil for up to 2 years. Crop rotation can help reduce the continuation of this type of disease. So what else can you do with cucumbers? Please read your canning directions for specifics on how to properly preserve your pickles. Here are a few ideas and good-to-know tips! 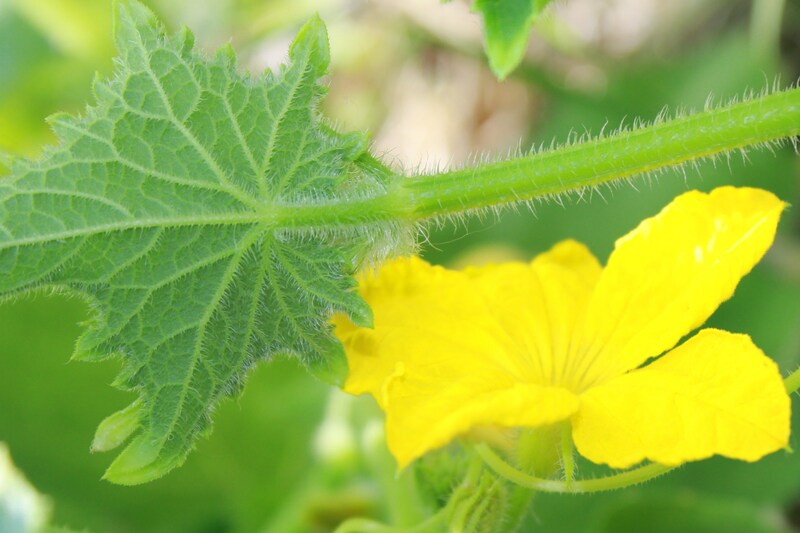 Cut and discard 1/6 inch off the blossom end of any cucumber you plan to pickle. Enzymes in the blossom end can cause the pickle to be mushy and may result in an unsafe pickle to eat. Refrigerator pickles, dill pickles, bread and butter pickles, naturally fermented pickles, there are so many options! Google some recipes and you’ll see what I mean! Cucumbers love to climb. Grow them up a fence or trellis in a small space. Cucumber eye pads to calm puffy tired eyes. Just close your eyes and add slices! Green Beans, Bush Beans, Pole Beans, String Beans – I LOVE Beans!